Big Brother Naija Auditions: Big Brother Naija 2019 Application Form, Audition Dates, Venues & Requirements is out for this season. We are here to give the latest news on Big Brother Naija 2019. So all applicant that which to be part of the housemates in BBNaija 2019 should read the information below. 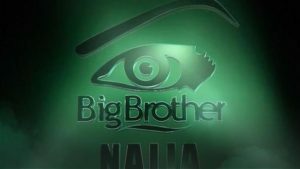 Big Brother Naija is a TV show series, the fun-filled show always lasts for 3 months and it has been making wave since its first audition. In the previous season which was season 3, Miracle Igbokwe Ikechukwu, the overall winner of the Big Brother Naija took home 25 million Naira and 12 million naira SUV. News reaching us has it that John Ugbe, the Managing Director of MultiChoice Nigeria revealed that Big Brother Naija reality TV show has been reinvented by bringing back the Nigerian version to draw pan African audiences for the same reasons that Big Brother Africa did. Mr John Ugbe also made it clear that the 2019 edition of the reality TV show is based on popular demand by people who are really interested in having it back. and due to their demand the auditions is scheduled for 1st and 2nd February 2019. His response spurred on the interest of millions of Nigerians, both those who want to participate and those who would only want to get entertained are very anxious about the application forms, dates, venues, and for those who will participate, the requirements are very important as well. There are so many persons that have emerge as celebrities such as Africa Magic’s Tinsel’s Gideon Okeke, TV personality Ebuka Obi-Uchendu, Efe Money, TTT, Uriel, Soma, Gifty, T-Boss, Bally, Bassey, Debbie Rise, Bisola, Mavis, Miracle, Teddy A, Lolu, Cee-C, Tobi, Nina, just to mention but a few, all thanks to Big Brother Naija who raised their profiles. The audition process will take place in major cities across Nigeria as it has always been. In accordance with what Wangi Mba Uzoukwu said, the auditions will hold in eight different cities across Nigeria. The Auditions will hold on Friday, 1st February 2019 and Saturday, 2nd February 2019. All who wants to participate in this year’s Big Brother Naija TV show is expected to get to this age as stated below. Individuals qualified for auditions should be from 21 years old and above. See Also: JAMB 2019/2020 Registration Form, Exam & closing date. Ebuka Obi-Uchendu will return as the host of the Big Brother Naija Season 4. According to the Channels director, MNet West Africa, Wangi Mba Uzoukwu, Ebuka has been officially confirmed as the host of the fourth edition of the reality TV show. Ebuka has hosted the show for two straight editions – Season 2 and Season 3. The TV show host and reality TV show host is an alumnus of the Big Brother Naija. He was one of the housemates of the first edition which was won by Katung Aduwak and hosted by Olisa Adibua and Michelle Dede. Bet9ja emerges as the headline sponsor for this season, Payporte who have sponsored two seasons wish to give way for Bet9ja as the new headline sponsor for Big Brother Naija. The new headline sponsor for Big Brother Naija 4 was unveiled on Tuesday, January 15, 2019, at a press briefing in Lagos. ¤ Proceed to make a video so that you can make an impression and also that you can know which direction you are going. By the application form comes out and you are ready to go for an audition, the video you make can give a lasting impression about you to the judges. ¤ Be prepared to answer all questions that you will be asked over and over again during your audition or application period. Before you are qualified into the house below are the questions you will be expected to answer. ¤ Are you a hunter or a gatherer? ¤ You are a new addition to a crayon box. What colour would you like to be and why? ¤ Imagine this; after the interview, you step outside the office and find a lottery ticket that ends up winning 45 million dollars. What would you do? ¤ What do you think about when you’re alone in your car? ¤ What’s your favourite 90’s jam? ¤ If you could be any animal in the world, what animal will that be and why? ¤ What was the last gift you gave someone? ¤ What were you like in high school? ¤ What’s the last thing you watched on TV and why did you choose to watch it? ¤ Any advice for your previous boss? ¤ Tell me something about your last job, other than money, that would have inspired you to keep working there. ¤ What was the funniest thing that has happened to you recently? ¤ What do you want to be when you grow up? ¤ Which two organizations outside of your own do you know the most people at and why? ¤ If you don’t get this audition what’s your other plan? ¤ What inspires you to BBNaija? ¤ What are you recognized for? ¤ How do you use your free time? ¤ What other interesting things about you exist that we cannot see on your CV? ¤ How would you rate your memory power? ¤ Code something from scratch in three hours and explain your design and solution. ¤ Can you name three consecutive days without mentioning Friday, Saturday or Wednesday? ¤ How would you describe a yellow colour to a blind person? ¤ You have an elephant. You can’t give it out or sell it. What would you do with it? ¤ How would you convince someone to do something they didn’t want to do? Kindly know this that if you are opportuned to go into Big Brother Naija auditions this questions will come up, just make sure that you answer accurately, be composed, and have self-confidence. If you find this post helpful, just click on the Facebook twitter buttons and share with others. Studentcamp is always here for you.